Save 15% on your Pet’s Insurance! 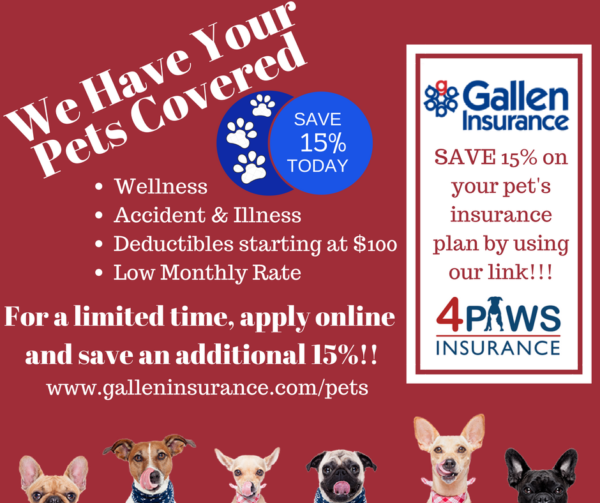 Visit www.galleninsurance.com/pets to save 15% on your Pet’s Insurance Plan today! We also have plans for those who protect & care for pets including Veterinarians, Groomers, & Trainers!